Best Header For 1st Gen 2.7L? Discussion in '1st Gen. Tacomas (1995-2004)' started by TacomaGus, Sep 13, 2010. Poll closed Oct 13, 2010.
i am looking into getting a performance header for my 04 2.7L and i was wondering what experience you other first gen guys have had with headers, 4 cylinder or not. They make so much stuff for the 2nd gens and most of the threads on here concern them so i was wondering what is best for the old schoolers. I have no Idea but I'd like to know too. But don't the later models (2001 and up I think) have a header looking exhaust on them?? I read here that the cast iron ones were real bad to crack. These got good reviews for bottom and mid range and MPG. This has alot of good info in it. 4 inch Pro Comp, Sway Away Coilovers, 33 x 12.50 Procomp Muds, 4.88 gears, LC Engineering Header, K&N intake, Flowmaster Exhaust (dumped), Wet Okole seat covers, light bar, skid plates, aftermarket CD & Speakers. The North West Off Road header was the best (IMHO) I have ran. Great low and mid range boost. 5th gear felt like 4th when on the road. Its pricey, but the quality is second to none. well A. i'm not looking for top end power, more low-mid so the LCE header isn't for me. B. it says the NWOR header is for 96-01 so will it fit my 04? And C how does the Doug Thorley short header compare to the NWOR you think Chris? Hmm...Not sure what the diff is for the 04's The NWOR header would give much better gains than the shorty header. You may want to call NWOR and ask them for the specifics. or are they exactly the same? I called NWOR this morning. The guy said 02-04 won't fit the 95-01 headers and they dont make 02-04 headers for the 2.7. He said Yota changed the head design on the newer models. He also said that their headers were nickel plated 3 times inside and out and then chromed on the outside. They have a 1/2" flange and use 14 guage tubing. He said that is heaver than the guys that make the SS headers. Price was over $500. He said they would last a LONG time. He said there are some headers that were put on in the 80's that are still working. Thats what he said. OY! 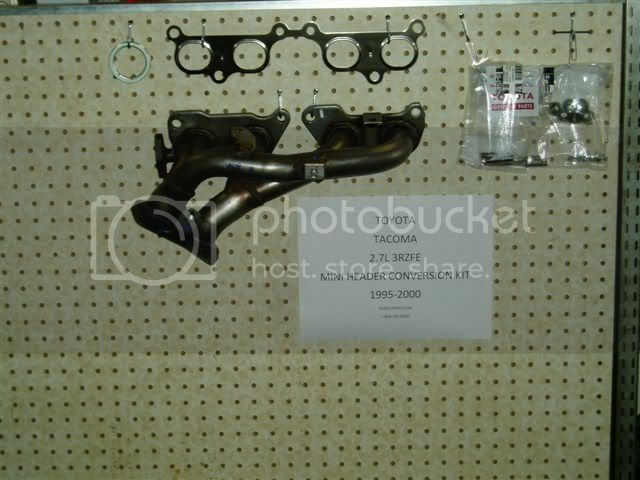 I paid $389 for the NWOR headers...Didnt know they were THAT proud of them now. After reading this thread the NWOR maybe the ones I go with but I have a 97 so they will fit mine. I'm still going to do alot more research though. I got the LC Engineering header. Dont have a clue what they are running now but I payed like $360ish. Its straight forward install but will take a while esp if you dont have a lift so that your not laying on the ground all the time. The build quality is second to none! Iv had it on there for almost 2 years and not one sign of rust whatsoever. However you are correct about the lack of low end boost. It may have helped a little, but where this thing shines is 3.5k up. Night and day difference on the top end.